Carl-Peter Forster: Interested in a job change? Despite a traumatic finish to 2008 because of the fallout from the global economic crisis, last year was extremely calm in one area: changes at the top. Most of the people who were leading Europe biggest automakers at the start of 2008 remain in charge today. The big question is: How many of those executives still will be in those posts at the start of 2010? If sales and production continue to slide as predicted and profits deteriorate further, there will be some CEOs looking for new jobs. When a company hires a new chief, that person usually likes to build a new team, which usually leads to even more turnover. Automaker bosses around the world are under pressure. They need to develop and launch solutions that protect their companies against an economic slowdown that many executives say is the worst they have seen. For some, the best solution may be to move to a new company. Analysts say that General Motors Europe President Carl-Peter Forster might decide to switch jobs because of the troubles facing GM in the US. At 54, Forster, who joined GM subsidiary Opel from BMW in 2001, might want to end his career at an automaker that is on the rise. While Forster is likely to have many options if he decides to leave GM, others might not be as fortunate. One current auto CEO acknowledges that the executives who cannot come up with the right ways out of the crisis will have to move aside. We look at the biggest challenges facing 10 Europe-based auto executives. We also provide predictions for each mans future in his current position. Here you will find a comprehensive list of the men and women who hold the most powerful jobs in the European auto industry. 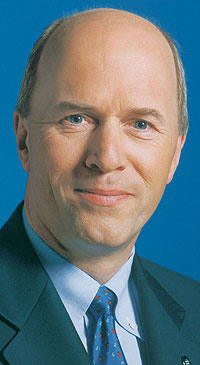 Challenges: It is unlikely that Toyota Europe will make a profit in its 2008-2009 fiscal year. It needs to start making money again in 2009-2010. Key new models such as the iQ must be a success. Job at risk? No. But he could get called back to Toyota headquarters in Japan. Challenges: Keep Ford of Europe profitable in a depressed market; continue expansion in Russia and eastern Europe; keep capacity in line with demand. Job at risk? No. Recently promoted; is credited with making European unit a profit machine. Challenges: Cut GMs European production and possibly close plants; get financial help from European governments. Job at risk? Maybe. He is at an ailing automaker so anything could happen. He may decide to go elsewhere, if GMs outlook continues to deteriorate. Challenges: Ensure successful launch of lower-medium Megane; renew momentum toward reaching goals for sales (3.3 million units) and operating margin (6%) by year-end. Job at risk? No. Will become Renaults chairman of the board in May. Challenge: Create alliances that improve economies of scale and boost annual production to 6 million. Job at risk? No. Fiat will not fire man who turned around company. He wants to play a key role in a new round of auto industry consolidation. Challenges: Adapt production to cope with lower volumes expected in 2009 and 2010; continue to invest in fuel-efficient cars. Job at risk? No. Moved fast to halt production to avoid excess supply; has started ambitious restructuring program. Challenges: Fight downturn in Europe, where PSA sells more than two-thirds of its cars; boost sales by 300,000 units to 3.2 million by year-end 2010. Job at risk? Maybe. Has the confidence of PSAs board of directors, but health concerns linger following recent illness. Challenges: Complete takeover of VW group despite resistance; find more ways for VW and Porsche to cooperate. Job at risk? Maybe. Has support from Porsche Chairman Wolfgang Porsche but clashes with Porsches cousin, VW supervisory board head Ferdinand Piëch. Challenges: Maintain peace with Porsche CEO Wendelin Wiedeking, who may soon be his boss; continue to increase VW groups sales and profits. Job at risk? No. VW is one of few volume carmakers not facing a massive downturn in 2009. Challenges: Investing in the right technologies to reduce CO2 emissions in Daimlers fleet of large, powerful cars; forming successful strategic partnerships with rivals such as BMW. Job at risk? No. He has the company moving in the right direction.